FLORA - MURALS - KIDS ROOMS - KIDS ROOMS - BEN 10 - CHILDREN`S WALL MURALS – BEN 10 AND FOURARMS. LOCATION: ASHKELON. 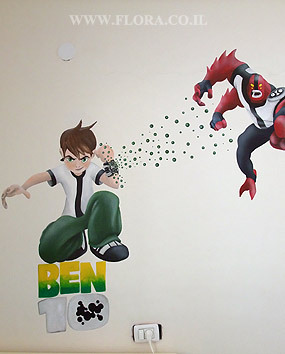 Children`s wall murals – Ben 10 and Fourarms. Location: Ashkelon.